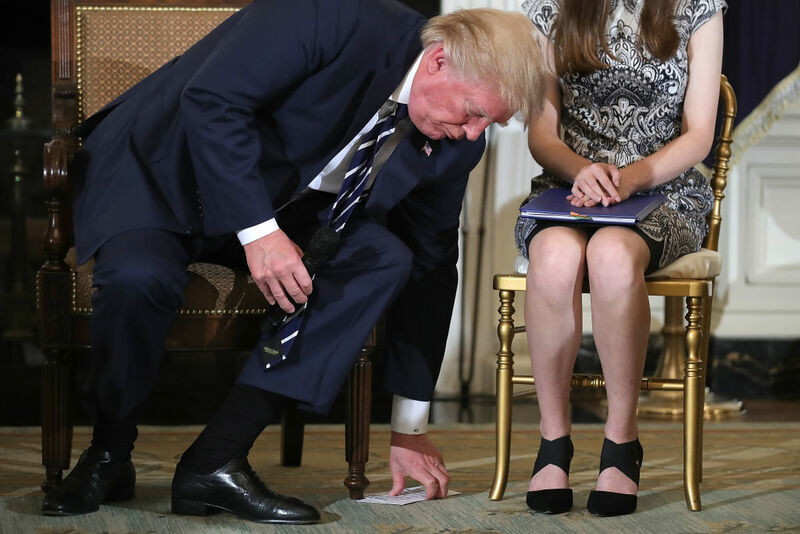 In the wake of the Marjory Stoneman Douglas High School shooting The White House invited student victims to a listening session with President Donald Trump. 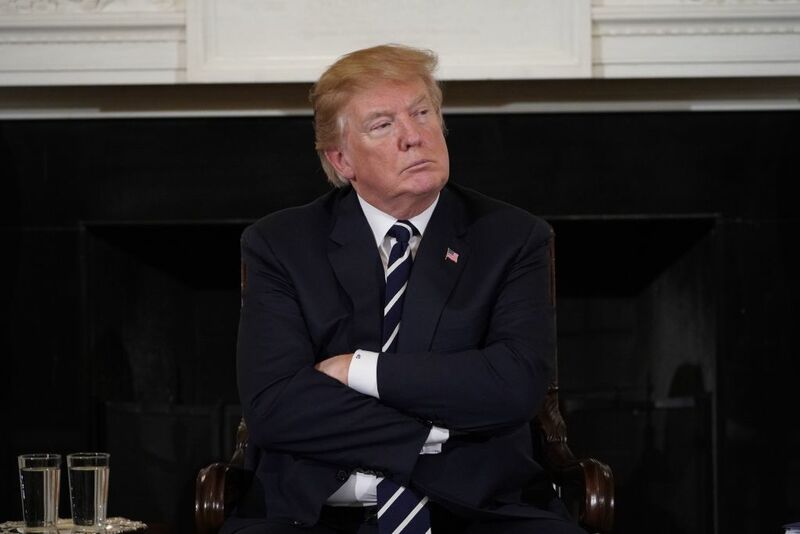 While the young survivors clutched clipboards filled to the brim with their impassioned arguments for gun control, the 45th President held onto an Idiot’s Guide To Being An Empathetic Human. Until he dropped it, of course. 2. What can we do [to] help you feel [safe]? Trump’s hands are blocking notes numbered three and four. We can only assume what top tips lie beneath his notorious hands. Young people have led the charge against American gun laws in the wake of the school shooting in Florida on Valentine’s Day. 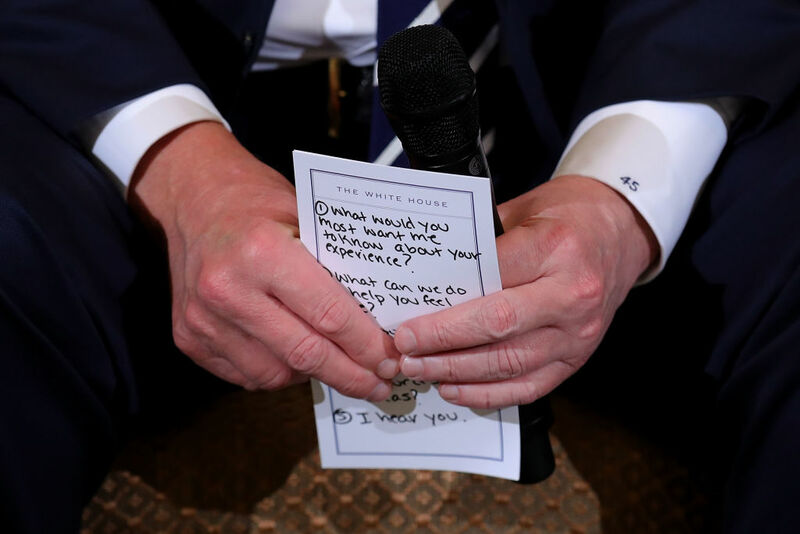 At the listening session, Trump asked the room if any present had any solutions to ending gun violence, moments after reclaiming his cheat sheet from the floor where he dropped it. 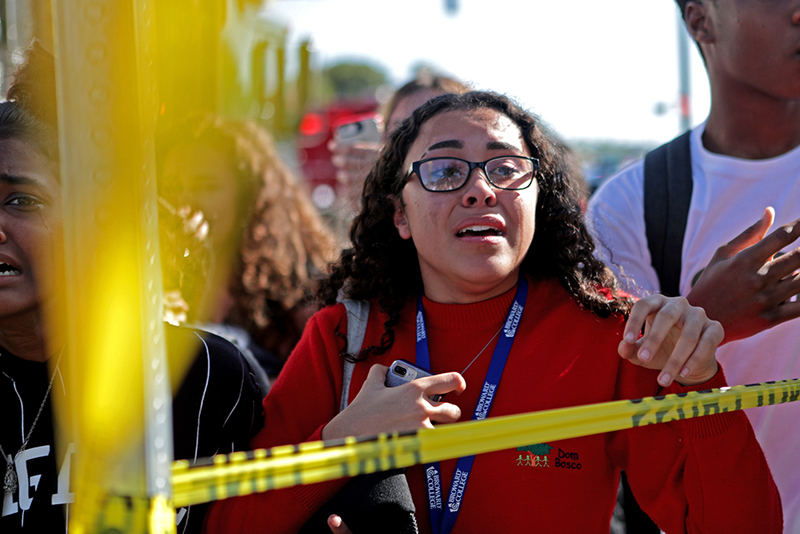 The Marjory Stoneman Douglas High School shooting, which took place in Florida on Valentine’s Day, killing at least 17 people and injuring at least 15 more at last count, is the eighth deadliest mass shooting in contemporary US history. My prayers and condolences to the families of the victims of the terrible Florida shooting. No child, teacher or anyone else should ever feel unsafe in an American school. His condolences fell on deaf ears. I don’t want your condolences you f*cking price of sh*t, my friends and teachers were shot. Multiple of my fellow classmates are dead. Do something instead of sending prayers. Prayers won’t fix this. But Gun control will prevent it from happening again. 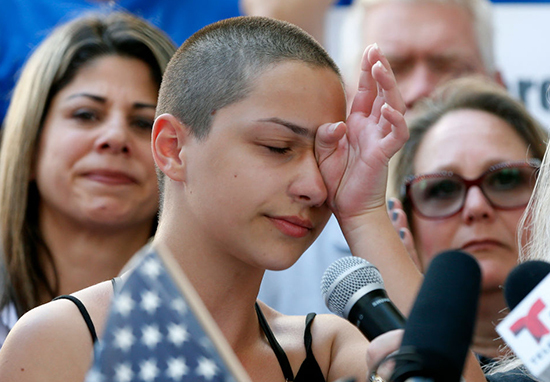 A further MSD shooting survivor called out President Donald Trump and the National Rifle Association (NRA) at a gun control protest in Fort Lauderdale. To every politician who is taking donations from the NRA — shame on you. Enough is enough. Every single person up here today, all these people should be home grieving. But instead we are up here standing together because if all our government and President can do is send thoughts and prayers, then it’s time for victims to be the change that we need to see. 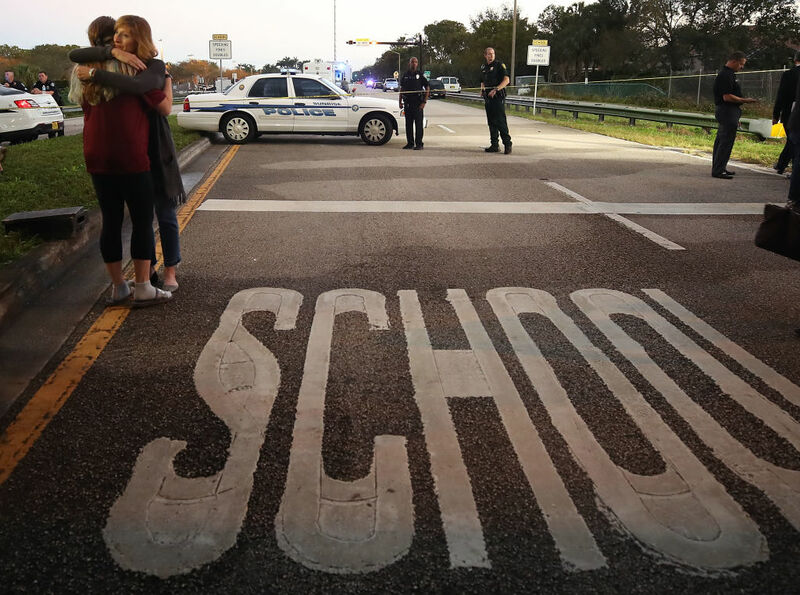 The MSD school shooting was the eighteenth shooting to take place within the confines of a school in 2018 in the US. At the time, that was 18 in 44 days. It was the eighth school shooting to have resulted in death or injury in those seven weeks. The violence marks the second-greatest loss of life from a shooting at a US public school, after the 2012 massacre of 20 students and six teachers at Sandy Hook elementary in Newtown, Connecticut. In 2017, the market for security equipment in the education sector was estimated at $2.68bn, according to industry analysts at IHS Markit, with some companies selling bulletproof backpacks to students. The NRA has spent $203.2 million on political activities since 1998.